It’s not a huge surprise to hear that the Hawks will go to Duncan Keith and give him the choice of whether to stay or go at the trade deadline. On the surface, the reasons are pretty clear. One, Keith has seemed the most fed up with what’s going on. You can tell by his postgame comments in the press and the like. Second, while he’s declined at a slower rate than his longtime partner Brent Seabrook, he’s also far less likely to regain any prominent place on a contending team than the two forwards who are pillars. At best, he can probably be a second-pairing d-man? It would need an adjustment in his game, which we’ve pontificated on enough already. Third, he probably still has some value, as his play hasn’t totally erased the weight his name would carry, like good ol’ Bottomless Pete. Fourth, his cap-hit is absorbable for a team and his actual salary even more so. So it all adds up in those senses. But look any deeper, and the whole thing stinks. One, while Keith has some value, if you’re going to cash in on one of your “core four” to get the most back, you’d add 86 to the number of the player you’d trade and make it Patrick Kane. He by far has the most value, and even though you probably couldn’t do any better than 75 cents on the dollar in a deal for him, that’s still more than you’re going to get for Keith. But for one, Kane is still a top-ten to top-five player in the league, and may stay that way for a year or two or three, and could be here when the Hawks are actually useful again. Second, Kane, rightly or wrongly (wrongly) is still one-half of the marketing campaign. He’s on the Chevy ads. He’s on the billboards. He’s on the local and national TV promos. Keith is still essentially flipping everyone the bird. And it also seems like more wheel-posing to not have to simply scratch Brent Seabrook regularly, or eat half his salary while shipping him off for absolutely nothing. So was demoting Henri Jokiharju. Seabrook doesn’t belong on their top-six, and yet the Hawks can’t admit it. And moving Keith would clear some of the logjam that’s coming next year, though they would still have a Seabrook discussion then. And it’s also a tip that the Hawks don’t really want to move Erik Gustafsson, even though he’s nothing more than a third-pairing bum-slayer. Would Keith take the chance? It’s impossible to say. 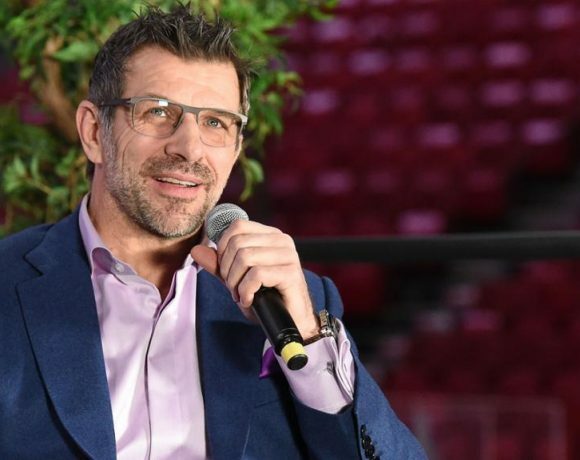 Again, you get the impression he’s had it with the organization’s incompetence here, knows the clock is ticking on his career more than Seabrook, Kane, and Toews, and might not want to spend the last two or three years he has getting instructions from Coach Cool Youth Pastor. Keith says he wants to play until past age 40, but I’m not sure I buy it. But on the other side, it’s not like he’s a free agent after the year, can try somewhere for a few months, and then decide what he wants to do. Were he to go, he would stay where he goes or end up being hot-shotted around without any control after waiving his NMC. This is the only place he’s ever known, and if he decides that this is where home is then he has every right to say he’s staying. Jake Muzzin got the Kings essentially three lottery tickets, and I suppose with the right circumstance with the right opposing GM, Keith could get you more. A first-round pick plus would sure be nice. 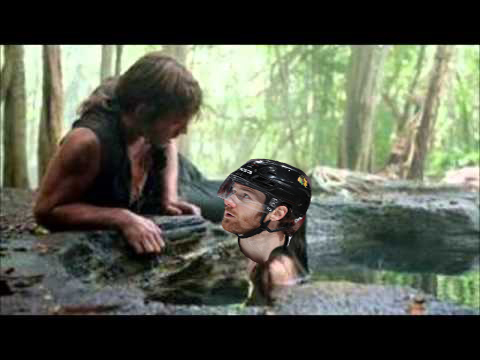 But who else is looking for a second-pairing d-man for the run-in? Calgary to pair with Hamonic? Could you pry one of their kids loose in Kylington or Andersson? Would they try and stick you with Hanifin instead? We know that Western Canada would have the most appeal. The Sharks don’t need him. The Hawks aren’t trading him in the division, and the Preds and Jets seems set anyway. The Avs have a need, if the Hawks got over their Central residence. I would argue the Lightning could use some buffeting on the blue line, but they wouldn’t. Bruins? Pens? We can keep going. Putting it on Keith is a half-answer. If you’re rebuilding, then go all-in and make everyone available. If you’re trying to jettison what you believe to be flotsam, then make Seabrook first on the chopping block. It’s not that it doesn’t make some sense, because it does. It just doesn’t make total.